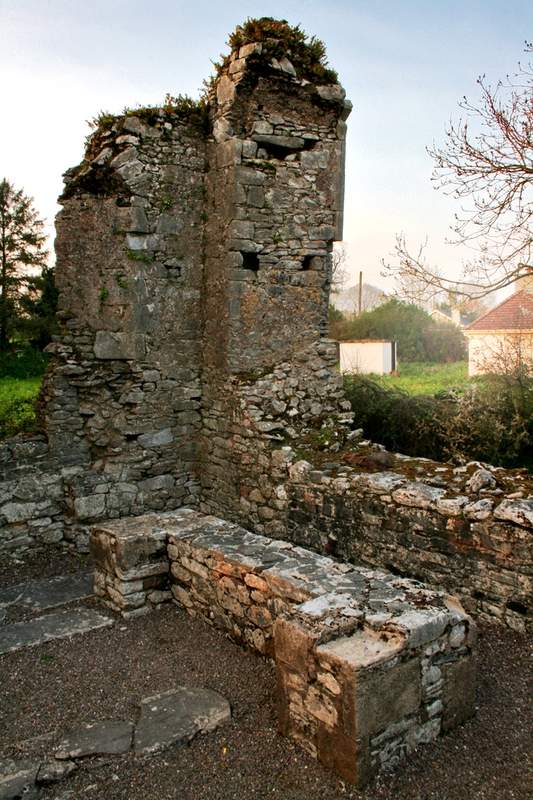 The ruin of the Abbey at Castlelyons has often been of interest to the visitors to Castlelyons village and the usual questions are asked such as: How old is the Abbey? Who has lived there? The attempt to answer such questions is not as clear cut as people would wish. There are a few reasons for this, the chief one being that little or nothing was written down about it. There are a few facts that are verifiable. The main one concerns the origin. It is reported that Castlelyons Abbey was built in 1309 by John De Barry for the Carmelites Order. The abbey was dedicated to The Blessed Virgin Mary. Another fact about the abbey is that the ruins we see today are not the original buildings. The more reliable opinion is that these ruins date from the 15th century. The main items of interest are the nave and chancel of the abbey church. The nave is of an impressive length and it measures 64ft x 22ft. The chancel measures 51ft x 22ft. A tower seperates the nave from the chancel. It has a spiral stairway which goes all the way to the top but position of the tower is now missing. The choir has three recumbent grave slabs, onw with a cross, one with insignia of a blacksmith and a third with inscriptions bearing the date 1614. There are now 13 slabs on the floor of the choir, all are very worn but have crosses on them and probably vary from the 14th to 17th century. 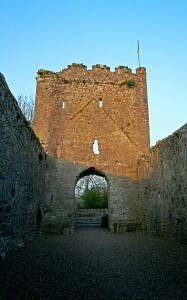 After the reformation the Abbey came into the hands of Richard Boyle, Earl of Cork. His daughter Alice married David 1st Earl of Barrymore in 1621. It was for this couple that the castle at Castlelyons was built. Her father left her this property in his will and thus this land came into the ownership of the Barrymores. Opinions vary as to which order of monks lived in Castlelyons. The original foundation was for the Carmelites, but the Dominicans are thought to have lived there at one time. During the 17th and 18th centuries the abbey was used as a hedge school. 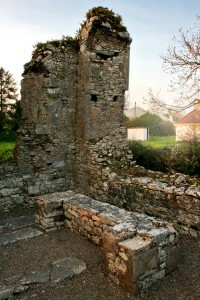 One tradition is that a portion of the abbey wall collapsed and killed one of the pupils. At a later date the abbey church was used as a handball alley! Today it is a national monument.